For single Coat Plaster Thin Coat Angle Bead is rigid but light weight, the drywall bead is designed for drywall, block and slab work. Provides excellent adhesion and reinforcement, with the revised 85°angle, allows greater scope for on-site adjustments and setting. 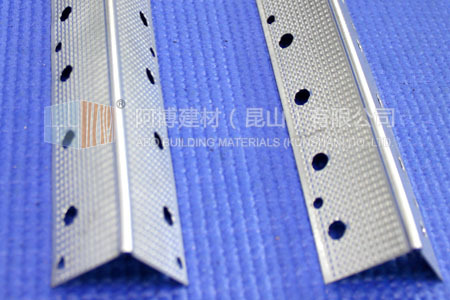 Corner beads are either made of perforated metal or expanded metal. 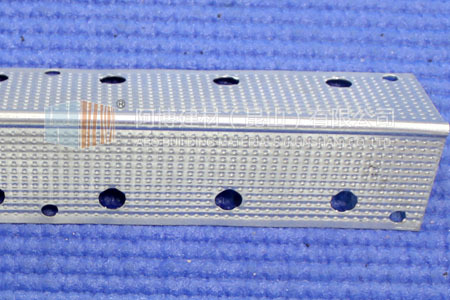 While both are widely used, perforated metal beads offer stronger trimming compared with expanded metal beads. 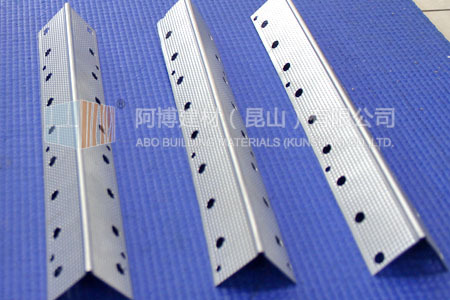 Perforated angle beads have more uniform plate thickness, hole sizes and easy to keep its original shaping. 0.3-0.7mm Galvanized sheet, Stainless Steel sheet, Aluminum sheet. All dimensions can be customized according to your requirements. 1. 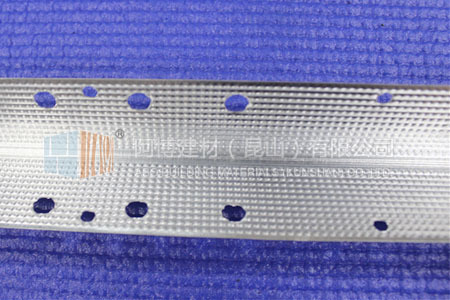 Strong metal nose offers a line, strong ground. 2. The side wings can easily cover irregular and uneven surfaces. 3. Plaster keys near solid nose provide reinforcement where needed most to ensure straight corners. Most commonly used over gypsum plaster board , provides a neat straight corner. Products simply fixed with plaster dabs or nails. Edges, arises, corners, joints and abutments all easier to form. Designed to minimized potential chipping, cracking and associated damage. Avoid bending or other damage and store in a dry place protected from moisture, store away from acids and incompatible materials. Copyright© 2008-2018 Wuxi Anber Machine All Rights Reserved.